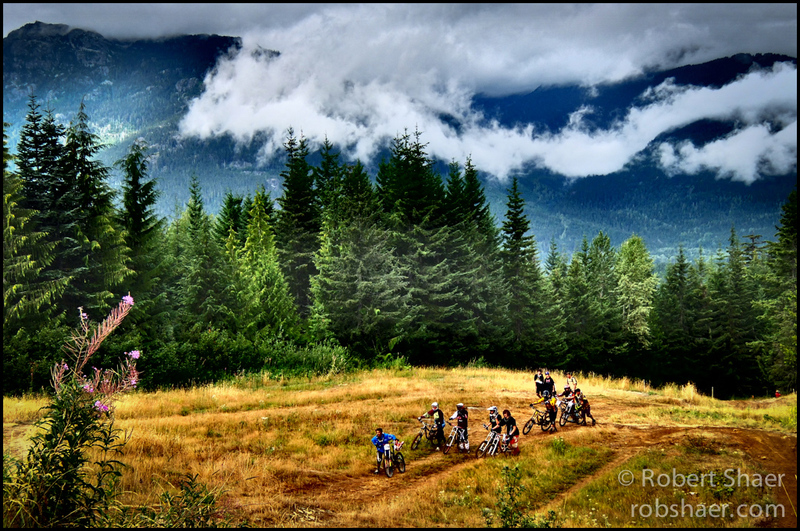 I am catching up with my inbox and a variety of to do lists since getting home from Whistler on Monday afternoon. 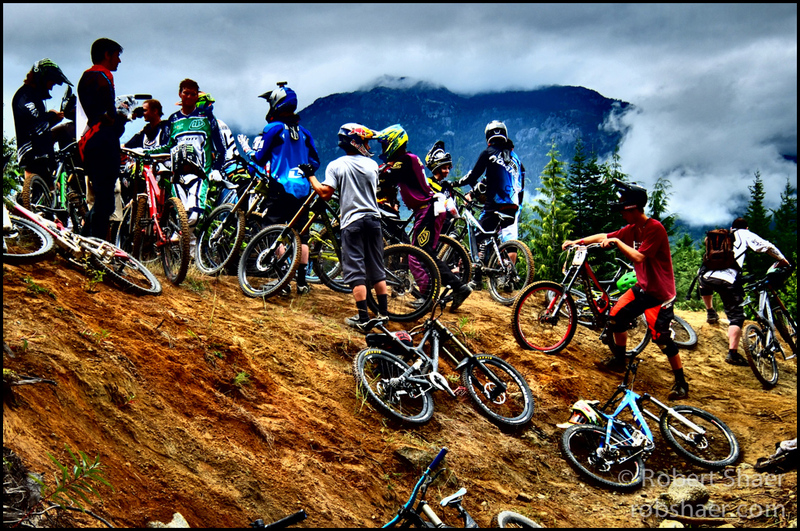 It was a pretty intense week in Whistler and driving back into Vancouver was a challenge. After a week of walking, bikes and tall trees, the sheer scale of the city filled me with anxiety. The noise, the traffic and the expanses of concrete and asphalt left me looking over my shoulder toward Whistler wishing that it was easier to stay. 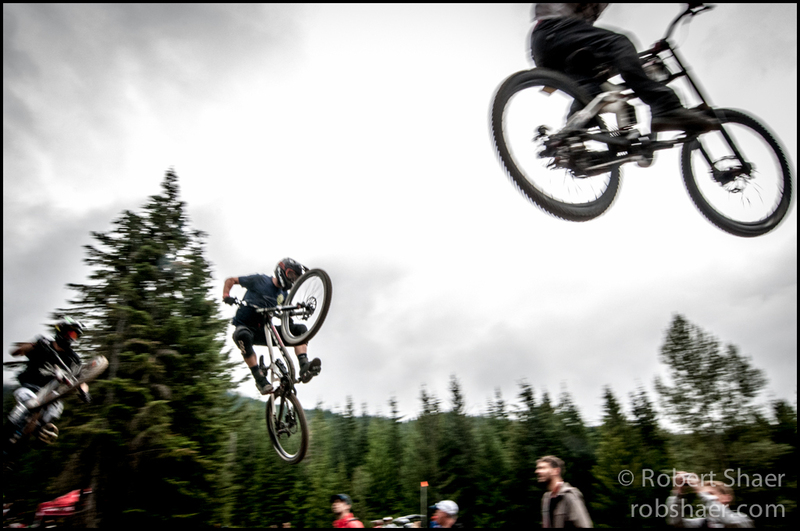 Today’s images are from the Whip Off contest on Crabapple Hits just below mid mountain. 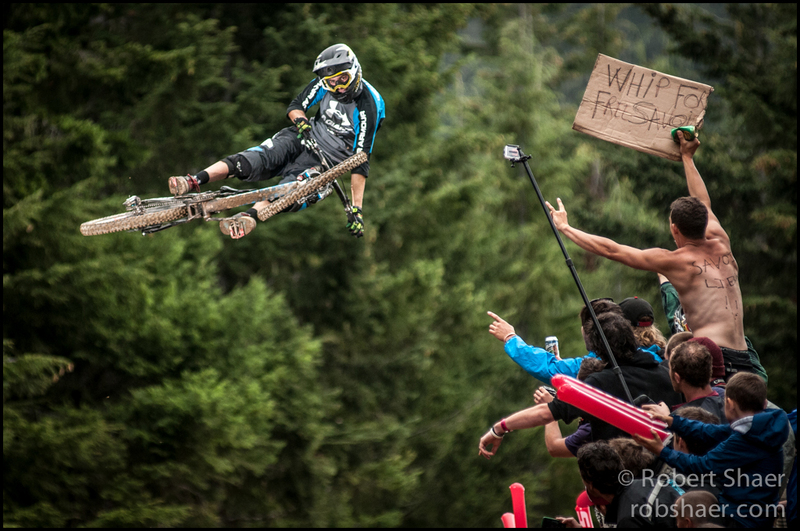 The Whip Off must be among the most exciting Crankworx events to photograph. The quarters are small, the airs huge and the crowds are very enthusiastic. There were no shortages of close calls for photographers and spectators alike, and I even managed to catch a tumbling bike and rider. 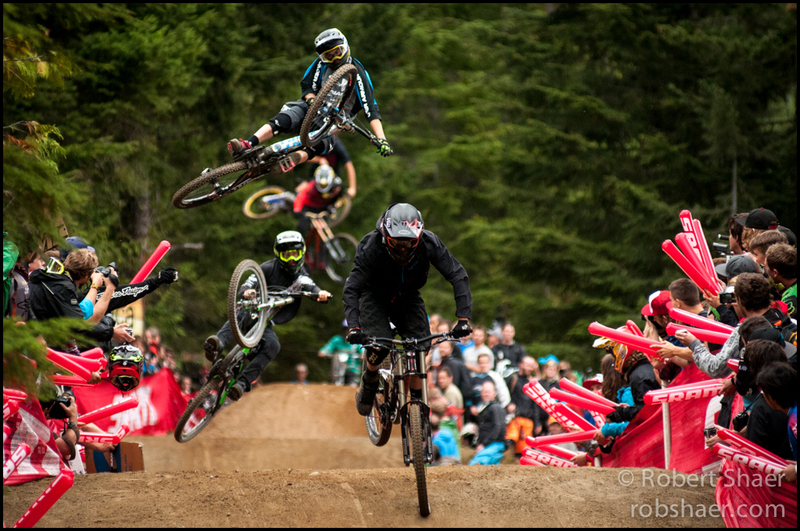 The challenge with events like the Whip Off is that the action directly in front of the camera is generally so exciting that I found it difficult to pull back and consider not just the individual components, but the event as a whole including riders, the terrain, spectators and the scores of photographers on hand. I’ve been looking at the work of other photographers that were on site last Friday with envy and humility. What I see in the photography of others is often what I have missed in my own approach to a scene. 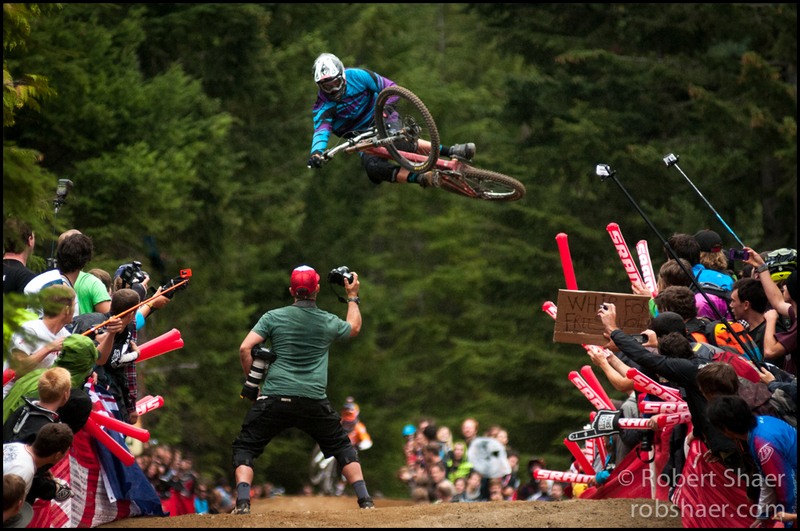 Crankworx produces such great photography every year, in part because it attracts so many of the most recognized names in the industry, but also because of the sheer numbers of photographers who descend on Whistler every year. You can’t swing a GoPro at the end of a pole without poking a guy in his 300 f2.8. 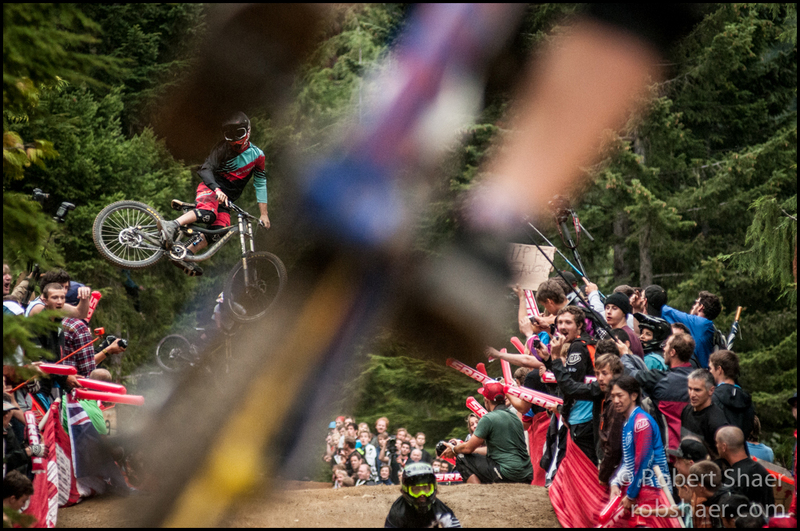 Crankworx is a glass fest and the competition is fierce. Pink Bike’s look at the Whip Off Worlds.